Hannah Challen is trapped in a loveless and abusive marriage, shunned by the villagers who regard her as a 'furriner'. Seth Weller, a shepherd on the downs, has just lost his wife in childbirth. The friendship that develops between them is an innocent one, born out of loneliness. But the villagers don't see it like that. They think Hannah is an adulteress and express their disapproval in no uncertain terms, tormenting her on every occasion. Their attitude, however, only serves as a catalyst for the very thing they are trying to stop. This is a story about a rural community on the South downs of England, set at the end of the 19th century, that encompasses the working life of a shepherd, that of the shearing gangs and the villagers whose attitudes are coloured by superstition, ancient local traditions and suspicion of anyone not born or bred within their village. 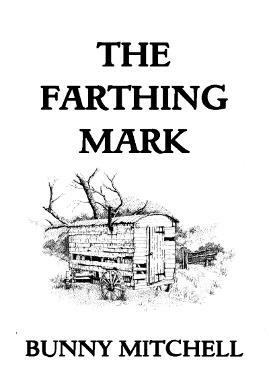 Although The Farthing Mark is a love story, one of passions, love and deceit, of hatred, malice and revenge, it is much more than that. It is also a well-researched novel about country life and the way things were, the author's love of the countryside being evident in the writing.